Many of our donors and funding partners are interested in supporting high performing nonprofits that work on the issues that concern them most. As a way to maximize the impact of their gifts HCF has created the Flex Grants Program as part of the Nonprofit Excellence Initiative. 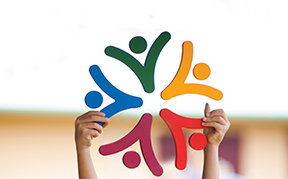 Through this program HCF supports high performing nonprofits with unrestricted operating support. 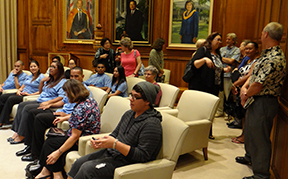 Flex is supported by several funds of the Hawai'i Community Foundation. For a full list click here. If you are a donor interested in providing high performing nonprofits with the unrestricted funds they need to operate, please contact us to discuss how to become a part of this great effort. Nonprofits are now able to submit a single application that's reviewed by a variety of funding sources at HCF. In 2016 the Flex Program distributed more than $4.8 million in much needed unrestricted funds to high performing nonprofits. In addition to providing FLEX grants for high-performing nonprofits, HCF partnered with Catchafire to match grantees with skills-based volunteers to maximize the impact organizations can have on the outside world. Interested in becoming a donor to support high performing nonprofits?